Enough could not be said about these Merrell Moab Ventilator Hiking shoes. They’re leather and mesh made with a Vibram sole for great grip, traction, and durability. Also includes integrated shock-absorbing cushioning heel – what else can one ask for? Moisture-wicking mesh lining on the inside to keep feet with extra breathability while providing superior comfort. These Merrells are fit for outdoor environments like hiking, camping or as one heck of a cozy athletic shoe for the city. This pair of Adidas AX2 Hiking Shoes is by far, one of the most comfortable athletic shoes out in the market. Adidas Company has not acquired their reputation by mistake, and this ultra-light model is proof of that. Ideal for hiking and rocky terrains thanks to their EVA midsole for guaranteed light cushioning. Every color is nicer than the other, and it can be used for outdoor events or as a way to spoil your feet in urban life too! There are enough reasons to acquire these original Keen Targhee II Hiking Shoes, ideal for your favorite expeditions or as a sporty choice in the city. Keen Footwear offers American products to numerous locations within the U.S. and also worldwide distribution! Made out of leather with padded collar for ankle comfort and a rugged multi-directional outsole for great traction and durability. Lastly they have ankle injury prevention and easy-on pull loop. A breathable shoe with true toe protection! These Columbia North Plains Trail Shoes are what you are looking for when it comes to waterproof footwear, and when talking about good quality, comfort and style Columbia Company’s name is instantly associated. They feature suede leather and textile with a rubber outsole and a TechLite midsole for excellent Omni-heat insulation plus advanced reflective lining for temperature control. Columbia is serious about trail shoes and this model is no exception. Ideal for your favorite outdoor adventures while enjoying exceptional comfort. This quick-lace system Salomon Speedcross 3 Running Shoe has tongue packets for easy lace storage, forget about shoe tying! Made with ultra-light materials, injected molded EVA midsole for grip, and multi-directional lugs for traction and performance, these shoes are specifically made for speed. Their quick-drying nylon lining provides extra comfort. These are superior trail running shoes, ideal for slushy or snowy fields with enhanced footbed for shock-absorption and stabilizing nylon forefoot plates for uneven terrains and toe protection. This lovely pair of Merrell Siren Sport 2 Hiking Shoes are made with high-quality materials for the best performance thanks to the traction and support of their Vibram soles. Leather and mesh made with Omni-Fit lacing system for a slip-on sporty shoe convenient in those rushed hours.Exceptional breathability enables the ability to maintain your feet free from odors. Lastly, ortholite insole offers durability, flexibility and comfort. Perfect for indoor and outdoor activities! 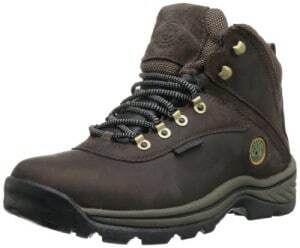 This Columbia Woodburn Hiking Shoe model is leather and synthetic made with synthetic sole and rare loop hoop. You know it is serious business when talking about Columbia hiking shoes, simply the best hiking shoes ever, their quality speaks for itself! You can notice careful engineering with high-quality materials and advanced technology for long durability and exceptional performance from the Omni-grip. They have style and functionally on a variety of occasions, from hiking with your 4-legged friend to informal events in urban environments! These leather and mesh Merrell Moab Ventilator Hiking Shoes are by far among some of the most sophisticated no-lacing and sporty footwear out there. They offer breathable mesh lining wicks for extra ventilation. They embody a Vibram sole, for excellent traction on a variety of surfaces. Their Qform comfort midsole technology provides to women specifically, shock-absorption and heel stabilization in every step. Give your feet the comfort they deserve on any hiking trip, walking a trail, or a rocky road. The purchase of these Merrell Prime Stretch best Hiking Shoes will no doubt make you a happy man. They have everything an athletic shoe can offer starting with their fit and fat trimming ultra-light design that will ensure you to put your best foot forward on your next expedition. Their athletic design promises wild multi traction and grip for numerous fields and conditions. Lastly, they’re leather, mesh, and synthetic made and M Select Fresh for odor prevention! These Merrell Men’s Phoenix Bluff Hiking Shoes are the best hiking shoe option if you want comfort, quality and assured durability. Leather and mesh made, they’re a hiking masculine model that owns not only the M Select Grip sole for durable traction on multiple fields but also M Select Fresh for odor prevention! The ideal choice for abrasion resistant toe and heel protection. Merrell’s prestige has not been built by mistake and these Phoenix ventilator hikers could not show otherwise!